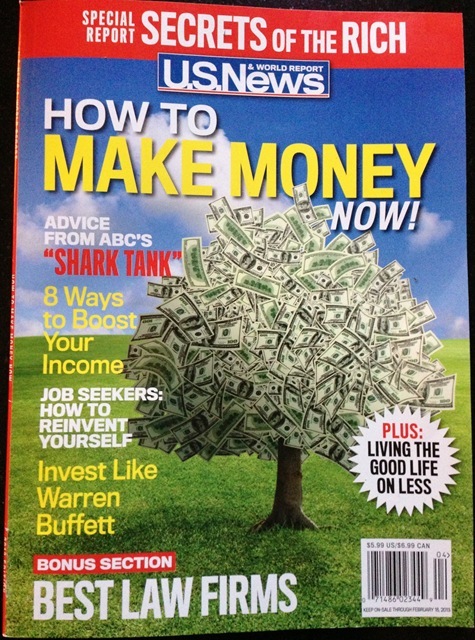 I was recently interviewed regarding Social Media/Job Search by U.S. News and World Report for the How To Make Money Now 2013 Edition. One observation I shared was on how differently job seekers view Social Media than non-job seekers. An obvious fact, I know. But in today’s economy, do you know when you might be starting a job search? It’s usually a good idea to manage your Social Media profile before this happens. Certainly, you don’t have to put the effort into overdrive until necessary, but establishing a professional presence early in the game is a good strategy. I have many other tips on this within the Social Media subject on this blog if you’re looking for more advice on the topic. Other tips you may need to think about are also included in the U.S. News article. 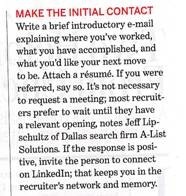 Betsy Goldberg of Money magazine wrote an informative article in the March 2010 edition for job seekers who wish to work with recruiters (Titled: Get a Leg Up on Your Job Search). She interviewed me as part of her research. You’ll find a lot of advice in the article I agree with (including my quote below). 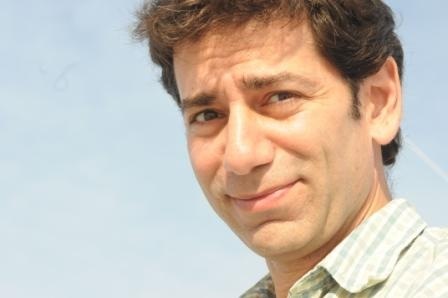 I was recently interviewed by Kristi Daeda on the topic of marketing yourself in the job search. Unlocking the so-called mystery of working with recruiters has been a popular subject this year. Many folks I work with in the job search industry have asked me to shed some light on the in’s and out’s. You can see the article with all the insights on her site.